Penetrating damp - What is penetrating damp and how can you fix it? GET RID OF PENETRATING DAMP TODAY! You won’t find better advice and solutions for penetrating damp in Dorset & Hampshire. 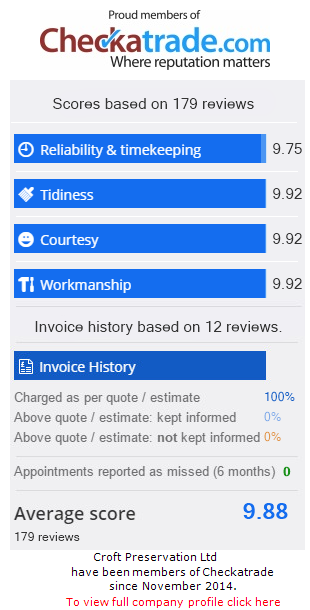 Our prices are always fair and excellent service is guaranteed! Penetrating damp is a common problem faced by property owners and is caused by many known issues, such as leaky pipes and damaged roofs and masonry. Therefore, in order to effectively treat penetrating damp, the source of the damp problem will have to be dealt with first. That’s where our team of damp experts can help! We are highly experienced in dealing with penetrating damp and offer lasting solutions and repair work. Contact us today to discuss your problem with damp with a member of our team on 01202 737739. What is penetrating damp and what causes it? Penetrating damp is a type of damp problem that is the result of moisture or rain water successfully penetrating through to the internal wall from outside the property. One of the unique things about penetrating damp is that, unlike rising damp, it can occur at any level of the building, including ceilings, floors and walls, and usually gets visibly worse at certain times, like during wet weather. How do I identify the source of penetrating damp? First, you need to try and identify what is causing the penetrating damp. Look out for cracks in the external wall or missing pieces of mortar where water may be getting in, as sometimes old bricks can become porous, thus allowing water to penetrate your home. One good tip is that if the penetrating damp is occurring at the same height as your guttering, you should examine your downpipes and gutters for cracks or leaks. Other places to inspect include your roof, the flashing, the pointing (this is the cement between the roof tiles) and the roof ridge. You can also check to see if there are any cracks around the door frames which may need repairing and do the same around the window frames too. Lastly, penetrating damp can also occur because of leaking pipes, especially in the kitchen and the bathroom. If you are struggling to identify the source of your damp problem, then our team can provide a professional damp survey to get to the root of the problem. Contact us today to arrange your property survey today! What do I do once the the source of penetrating damp has been fixed? Once the source of the penetrating damp has been eliminated, a course of damp treatment can be applied. The type of treatment and repair work will depend on which area of your home was damaged as a result and can include undertaking building services such as repointing crumbling or missing mortar between bricks, resealing the damaged or defective area and undertaking treatment that effectively stops damp being ‘bridged’ from the outer skin to the inner skin of the property. Our damp specialists are experienced in providing effective damp treatment to help prevent your damp problem from reappearing, as well as repair and refurbishment work to get your hom back to its former glory! Our team are local damp proofing specialists and offer some of the most effective solutions when it comes to eliminating penetrating damp. Thankfully, tackling damp is usually straightforward, but it can appear in many forms and every property will have its own unique features that make each project different. Croft Preservation are experienced in all types of damp treatment and can provide a professional damp survey to to identify the source, so you can trust us to provide the best possible solution for you. Our damp elimination services are open to all types of premises, so get in touch today on 01202 737739 to find out more.